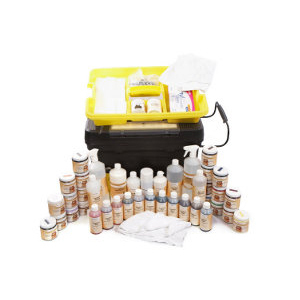 At Furniture Clinic, we like to say that leather repair is a job that requires a professional touch. Whether that arrives in the form of a product or person, leather deserves a repair that will last. As a professional in your own right, you understand that high-quality products and services aren't always easy to come by. And committing to the purchase of a new product is a pricey, and sometimes risky, endeavor. 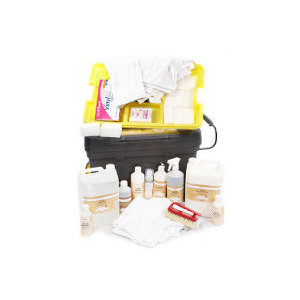 We want you to feel 100% confident in the quality of our products prior to purchasing, so let's review the features and benefits of our Professional Repair Kits. 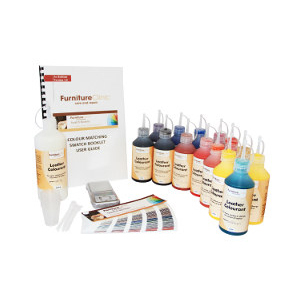 Using our color matching booklet, instructions and colorants you’ll easily match all colors of leather. At Furniture Clinic, every product begins in our extremely thorough testing process. In order to innovate the best products, we defer to you for your ideas on what would help you the most in your day-to-day. After all, we don't just create products at Furniture Clinic. We create solutions. 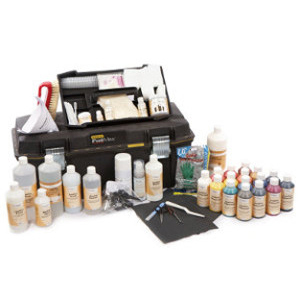 There's leather repair, and there's leather repair done right. At Furniture Clinic, we don't believe in temporary repairs or only repairing the part of the leather that you can see. We believe in repairs that will keep leather looking and feeling new for many years to come. 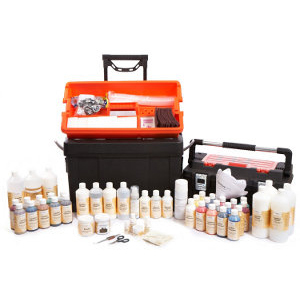 We also believe in keeping customers happy by creating products that work time and time again. 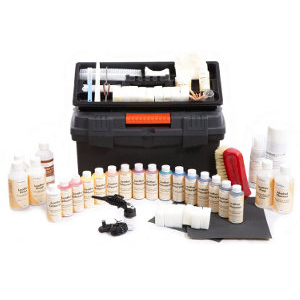 Order today, and we'll ship our top–rated leather repair kits right to your front door.